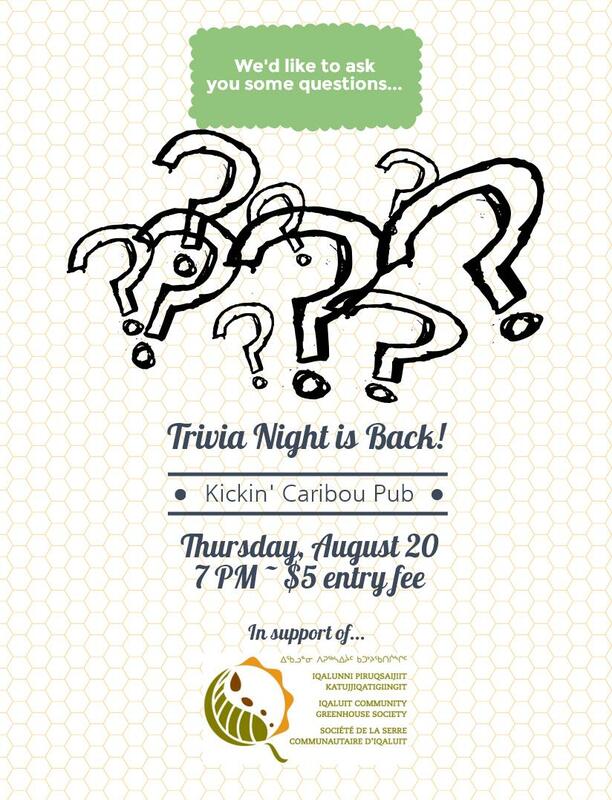 …because it’s Trivia Night at the Kickin’ Caribou! Thursday, August 20 at 7 PM – be there or…well, you should just be there. Bring your friends or join a team at the pub. See you then! Also, please note that the greens harvest for this evening will be cancelled as there has not yet been enough growth of our lettuce to warrant the extra collection. Next regular harvest is Tuesday at 5 PM.